Persbo Studio invites one artist a year to create a new work for the Sculpture Park. The goal is to create a permanent collection that offers diverse and dynamic artistic explorations of outdoor sculpture. 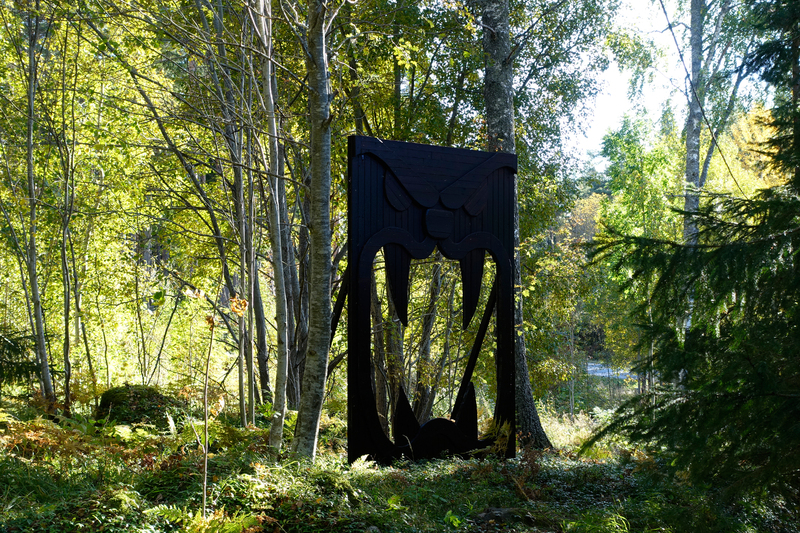 The selected artists reflect a wide varaity of the currents in contemporary art in both in Sweden and internationally. At the Gate, is a wooden sculpture that takes its inspiration from a woodcut print in the 1511 edition of Malleus Maleficarum (Hammer of the Witches). The book written by the German clergymen Heinrich Kramer and Jacob Sprenger, it aims to prove that witchcraft exists, along with the procedures for discovery and punishment. The woodcut depicts a gate to hell in the form of a demon’s gaping mouth, beyond which are trapped and tormented souls. The image describes what believers feared would happen if they failed to live a righteous Christian life, a belief that also functioned as an effective means of control. The piece, At the Gate, is a fence-like structure that metaphorically separates one state from another, it is a boundary that is not meant to be physically crossed. Once the threshold is passed over there is no going back, the consequences bring about a fundamental change that permanently affects your perspective and how others perceive you. 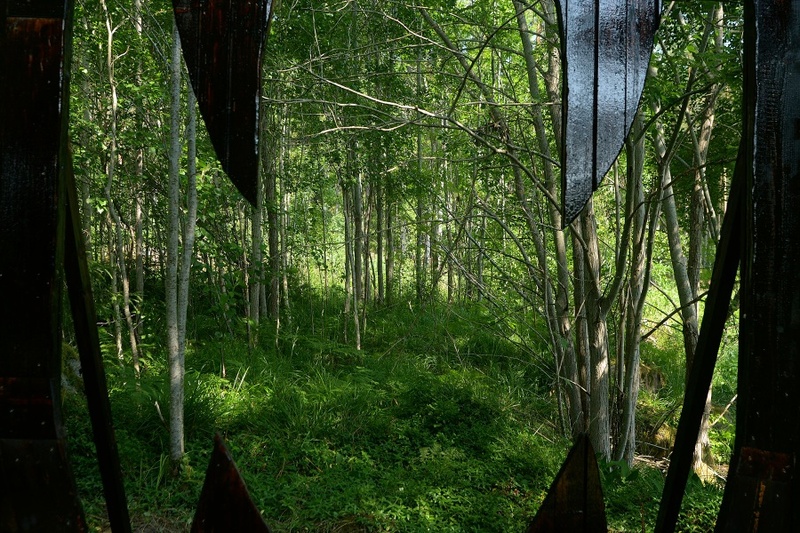 At the Gate, is set just within the border of the forest and acts as a symbolic portal for visitors to walk through and enter the nature that lies just beyond it. Incidentally, the title At the Gate, is a nod to the Swedish death-metal band At the Gates, which regrettably no longer exists. Helene Edgren is a Swedish artist who lives and works in Arlöv. Edgren’s practice engages with the relationship between the individual and nature, where nature, above all, is a metaphor for our drives and desires. How strong is human nature’s compulsion, how much control do we have over our actions? The problematic concepts of good and evil are an ever present part of the topic of our nature which is muddled by human complexities that constantly provide new gray areas between these stark divisions. Edgren earned her MFA from the Malmö Art Academy in 2006. Her work has been exhibited at Galleri Thomas Wallner in Malmö, Ystad Konstmuseum, Galleri Signal in Malmö, Galleri Ping-Pong in Malmö, Galleri 5 in Lund, Galleri Mors Mössa in Göteborg and the 2005 Istanbul Biennial. Edgren was awarded the Höga Kusten Cultural Award in 2009 and Malmö City’s Cultural Award in 2008 and is represented in collections of Statens Konstråd and Region Skåne.